Available for all model F3 Spyders, this knee panel insert kit will add style and protection to your F3. 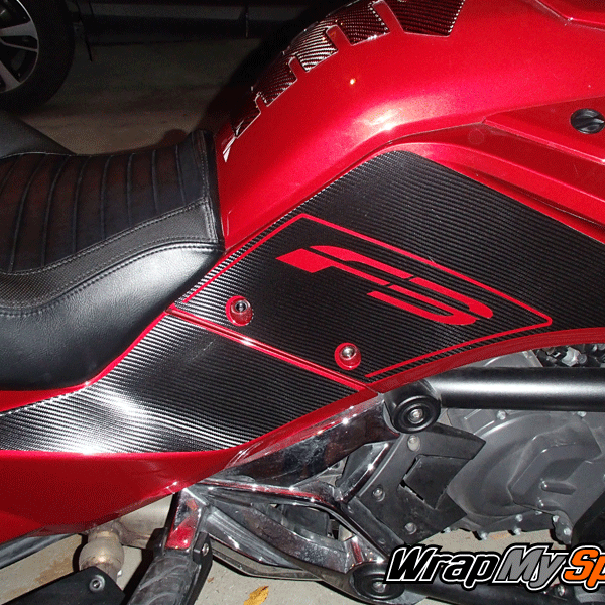 An added bonus is preventing those unwanted scratches and skuffs where your knees and legs rub on the panels. We are offering this kit in several colors along with the option to add the F3 text in a contrasting color at no additional charge. For those of you who don’t want the F3 cut out or would like this kit in our clear paint protection film, see our Solid Knee Panel kit here. Pattern direction will not match from left to right panel. 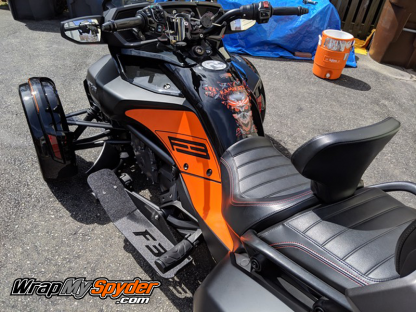 Love them…They fit like a glove.. My knowledge on install is NONE however with the instructions that came with the Knee Panels and the way they are cut out from wrapmyspyder made the install so easy. This is a well made graphic that will last a life time I’m sure.. The detail is impressive to say the least. Thank You for making the install so easy..
panels for a life time. The wife is happy! Best of all… exceptional people to deal with! Great quality product! I actually had the knee panels for a couple of weeks before I installed them because I was convinced I would screw it up – I’m not very handy. I got my instructions from the on-line video. They were actually pretty easy to install and I’m very pleased with the finished product. I purchased the black carbon fiber with the black high gloss insert – looks GREAT on the black F3-T! Just enough. Thank you, Pete, for your assistance. 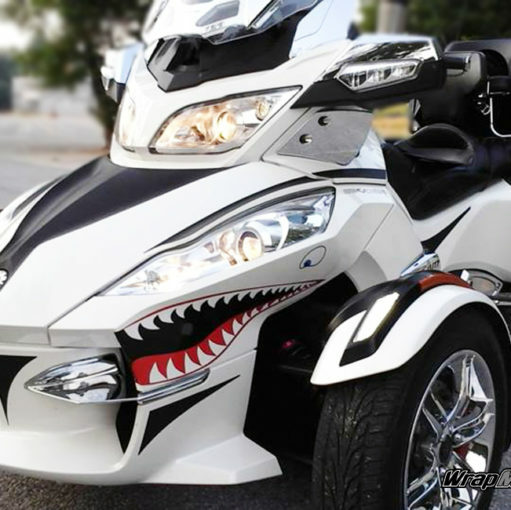 Fantastic and high quality product!!! The installation is easy and the panels fit perfectly. Watching the installation video was of great help. 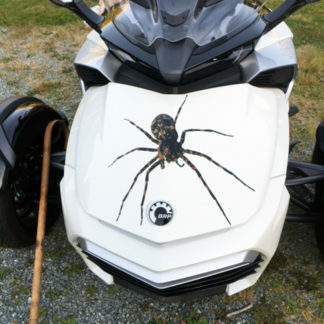 The panels look great on the spyder. I would highly recommend this product. It looks awesome and there is no doubt that these panels will last for quite awhile. Customer service is excellent and fantastic to work with! 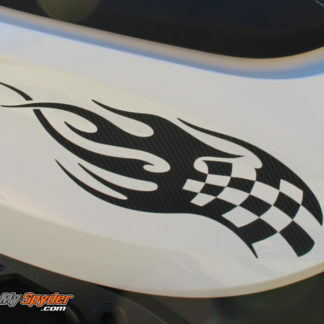 I have the carbon fiber on a white F3-T. Have to say they totally changed the look of the bike and were easy to install. Just took my time and everything worked out perfectly. If you have any doubts about this DIY it really is easy.